Are you sure that everything on your credit report is yours and is correct? Recently a friend of mine recently built his first house from the ground up. Unfortunately, he said he would never do it again. All the horror stories you hear about dealing with permits, contractors (and sub-contractors), material suppliers, time-lines, budget-overages, etc. are all too often true. Some consider it worth the hassle and many, like my friend, do not. Like anything, experiences differ. My friend’s biggest regret was that he didn’t monitor the process and details enough. I hate to say it, but he put too much trust in the hands of his builder. It’s not that builders can’t be trusted, most can, but the fact remains, they are building YOUR house, FOR YOU, and it is in your best interest to stay on top of things. When it comes to your personal finances and debt management, including how items are reported on your credit reports, it is no different. It is your responsibility to “stay on top of things”, because it is in your best interest to make sure everything on you credit report is yours, and is correct. One or two errors can have as much as a hundred point influence on your score, depending on the circumstances. 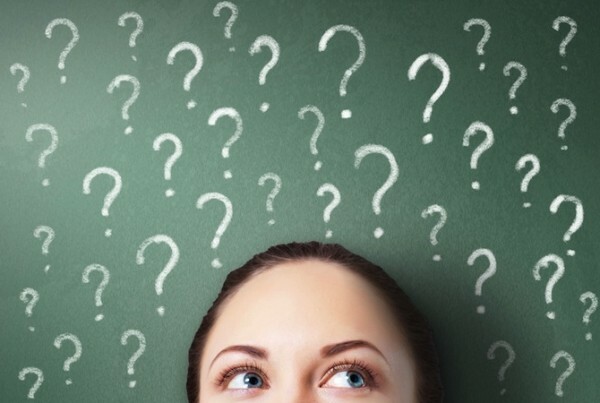 It is important to question what is on your credit reports. Tweet this…. I am sure this comes as no surprise, but the furnishers of your credit data make mistakes. Credit furnishers include anyone that has extended you credit and reports to the credit bureaus like banks, credit unions, auto lenders, credit card companies, cell phone providers, delinquent medical bills, even unpaid taxes, just to name a few. They either have your information incorrectly in their files and when they send it to the credit bureaus it is reported incorrectly, or the error actually occurs in the transmission of data. There are some that even intentionally and unscrupulously report your information wrongly so that they can get more money out of you or, at the very least, make life difficult for you when you apply for new credit somewhere else. To make matters worse. The credit bureaus are not required to verify the accuracy or validity of information sent them until you, the consumer, initiates it. Unfortunately, it is not common knowledge that the big 3 credit bureaus, Experian, Equifax and Transunion are 100% independent of each other. They are not government agencies or even GSEs (government-sponsored enterprises), like Fannie Mae or Freddie Mac. They are for-profit companies no different than Walmart or Apple, and are publicly traded. This means they are competitors in this fiercely competitive, and lucrative credit reporting and data market. Not surprisingly, then, they do not share or cross-check information about you or your credit history with each other, and an error caught and corrected at one does not effect the others. Additionally, since not all credit data furnishers (creditors) report to all three bureaus, your reported credit information will be different for each bureau, resulting in different profiles and scores. Someone’s identity is stolen once every 2 seconds in the United States. Need I say more? If you don’t monitor your credit reports on a regular basis, and question anything that looks suspicious, especially if you don’t recognize it as your debt, you could be a victim of identity theft and not know it until it is too late. The sooner you can catch it, the least damage will occur. Believe me, you want to catch it early. We help people who have been a victim of identity theft, and it is a nightmare. This reason alone should be enough to prompt you to check your credit reports regularly. There are a few other good reasons to question what is on your credit report, but we will go over them in our next post. Stay tuned. Related Article: Can you really get your credit reports for free? If you need help, we are here for you! Credit advice abounds on the Internet today. A lot of it is great advice. Much of it is suspect. 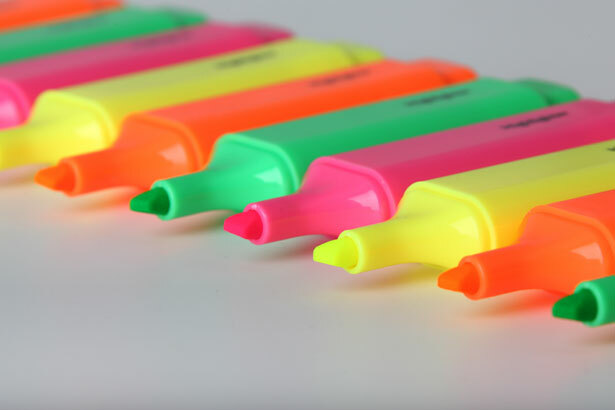 There is everything from where to pull your credit, to how to have a good score, and even how to dispute errors on one’s credit report, but when you’re a home buyer looking to ensure that your credit is mortgage ready, how do you know what is important to “highlight”? Additionally, credit advice for general purchases or buying a car can differ from home-financing tips, not to mention, your FICO score can vary, depending on who pulls it. A consumer-pulled score will likely differ from when a car dealer looks…which will probably be different than when a mortgage consultant pulls your credit score. It also matters which financial institution that’s looking at the credit history and the score. A store offering zero-down credit with their store card, for example, may not look as far back as a mortgage banker, or they may not look at medical collections the same way, either. A lot is riding on your FICO score when you’re looking to buy a house. So, it benefits you to have a few tips to keep in mind if you’re considering a purchase in the future, near or far? 1 – Pay your payments on time, all the time. Whether you’re 6 months away from buying a house or 6 years, paying your bills on time is a big one. Late payments can negatively affect your credit score for years. Sometimes “things come up,” and a late payment just happens. Fortunately, some bills have grace periods. Make sure that if you’re going to be late on a payment, it’s one with a grace period. The ones without, should be paid first. Then make sure you pay the late ones as soon as possible. Again, late payments can have a major impact on your credit score. Payment history actually makes up about 35% of your FICO score. 3 – Keep an eye on your credit history. Checking your credit often is a great way to make sure no one is stealing your identity. 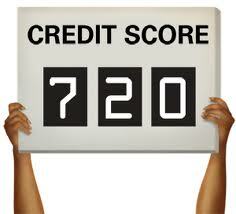 You have the right to check your score with each of the major credit bureaus once a year. This means you can do it all at once, or each quarter check with a different bureau. Keep on top of fraudulent charges or other issues so you’re not surprised when a creditor pulls your FICO score. Preparation is vital. 4 – Don’t open line after line of credit. When you’re getting close to buying a home and you’re ready to get your mortgage pre-approval, it’s not a good idea to go buy a new car, motorcycle or a bunch of furniture on credit. Remember: your mortgage pre-approval is based on your current financial situation. If you change that drastically, your pre-approval could turn into a denial. 5 – Avoid major purchases. Even if it’s not on credit, a major purchase during your mortgage pre-approval time frame can sap your cash reserves. A vacation or new appliances might have to wait until after you close and move into the new house. 6 – Finally, try to avoid job changes. Whether it’s leaving your job, or a big change to your hours worked, changes in employment can sometimes have adverse effects on your home buying journey. If you worked a ton of overtime in the months leading up to your mortgage pre-approval, cutting way back on your hours before you close on the mortgage could affect your full, official approval. Keep things as even-keeled as you can. Maintaining good credit is not rocket science, but it certainly takes diligence, awareness and work. Tweet this.. Author bio: Dan Moyle is the Creative Director of Marketing at AmeriFirst Home Mortgage. AmeriFirst believes in education rather than flashy sales techniques. An educated home buyer is a powerful home buyer. Dan loves to write and give back to his community. Sign Up For Our Newsletter – Sign up now to get the helpful information, tips and tools on credit and finance delivered to you via email. 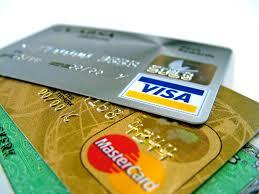 There is a lot of confusion around how credit scores are effected by one’s credit card use. In fact, most of us don’t think about any particular strategy or method to buying things using credit cards except not to go over the limit and to make our payments on time. Have you heard of revolving debt ratio, or credit utilization ratio? In today’s post, an often misunderstood concept of revolving credit utilization ratio will be clearly explained so that your credit profile from month to month is looked more favorably upon by FICO, and thus, optimize your score. First, revolving credit is a unique type where you are given what is also called a line of credit. This means you are given a certain maximum amount of credit that can be used anytime and is replenished each time you pay it back, making it available again for use. (Dictionary.com definition here). The most common example of this type is credit cards. Why is this important, you might ask? FICO has said on their website that revolving debt ratio is one of the factors it considers in calculating your score, and can account for up to 30% of your FICO score calculation. The the lower the ratio, the better one’s score is, and the opposite is true, of course, the higher the ratio, the lower one’s score. The common phrase “maxed out” comes to mind. When credit cards are maxed out, that means all available credit has been used and a 100% utilization ratio has been reached. FICO “penalizes” consumers for maxing out because it shows they possibly rely on borrowing too much (or are in too much debt), and/or may not be the best credit and debt managers. 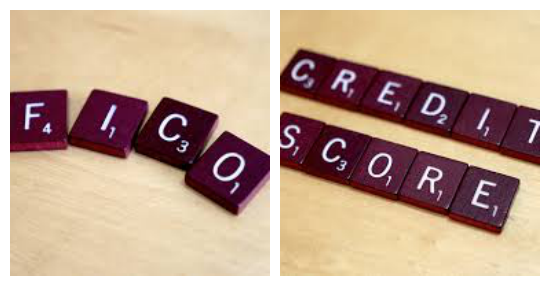 FICO does consider other aspects of credit utilization ratio on your credit profile to some degree, like how many accounts have balances, and even installment loan utilization ratio, but revolving debt ratio is by far the most important and easiest to influence when trying to optimize your credit score. Clear as mud? Please feel free to ask us any questions you may have on this subject. Can you really get your credit report for free? Free credit Reports! Hhhmmm… really? The above quote is what someone who called in from our website said almost word-for-word. Unfortunately, she is right. There is no free lunch, as they say. The sites she mentioned, and many more, are not really free, even if the word “free” is displayed somewhere. 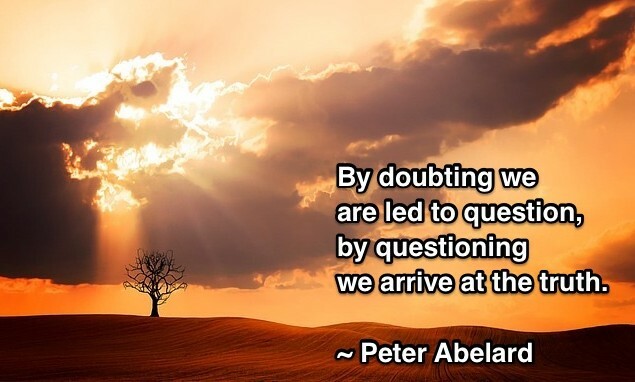 Furthermore, it is not always clear what you are getting. Creditkarma.com, for example, gives the impression you are getting your credit scores and reports, but in reality they have their own “credit management” platform that does not include your real credit report, only partial information pulled from it. In my opinion, it is this small word free coupled with credit reports or credit scores that throws people off because they have heard that you can get your credit reports somewhere for free. There is only one place where your credit report is 100% free, with no bait and switch, or “small print”, or a catch. More on this in a moment. Except for sites like creditkarma.com, here’s how most of them work. First, in various catch phrases and combinations of products offered (read each carefully), they tout in big print that you get credit scores and/or credit reports from all three credit reporting agencies, Transunion, Equifax and Experian , with call to action buttons saying things like “Try it Free”, or “Get Started Now” and “Click Here to Start”. However, usually in small print, they state it is a free trial for 7 or 14 days. At the end of the free trial you are immediately transformed into a monthly credit monitoring customer, which costs between $14.95 and $29.95 per month, depending on the company. The ones that only give a 7 day trial are particularly tricky. Your reports aren’t usually available for 3-4 days due to “processing”, which gives you 3 days to view it. There hope is that you will “accidentally” pass the 7 day mark without cancelling the trial. As a rule, it is my opinion to avoid the 7-day offers. If you don’t cancel within the 7 days, they immediately charge you their monitoring fee. Additionally, needless to say, it is not always easy to cancel. Tip: Some offer a printer-friendly version. if you print it out immediately, and make sure to call to cancel, then, depending on the site’s offer, you could actually get a free credit report. Credit Karma is truly free, but you don’t really get all your reports and scores, only ONE score, as mentioned above, and their proprietary credit management platform. Credit Karma is, in my opinion as a credit consultant, useless, and useless translates in my book as a gimmick, of sorts, because customers think they are getting something useful. (Update 6/14/15: Since the writing of this original post, Credit Karma now offers scores and reports for two of the big three credit reporting agencies, Equifax and Transunion. They still don’t offer information from Experian. Keep in mind that the scores they provide are NOT your FICO scores). The ONLY place you get a free credit report without pitfalls to avoid, and hoops to jump through is AnnualCreditReport.com. The Fair Credit Reporting Act (FCRA) requires the there major credit bureaus to provide one free credit report per year. You can get one at a time each quarter, or all three at once, once each year. Keep in mind, though, that this does not include scores, FICO nor VantageScores. Go here for a comparison of the FICO Score and Vantage Score. Most lenders use FICO, especially mortgage lenders. Has this been helpful? Please feel free to commment or share on social media. We like helping people.